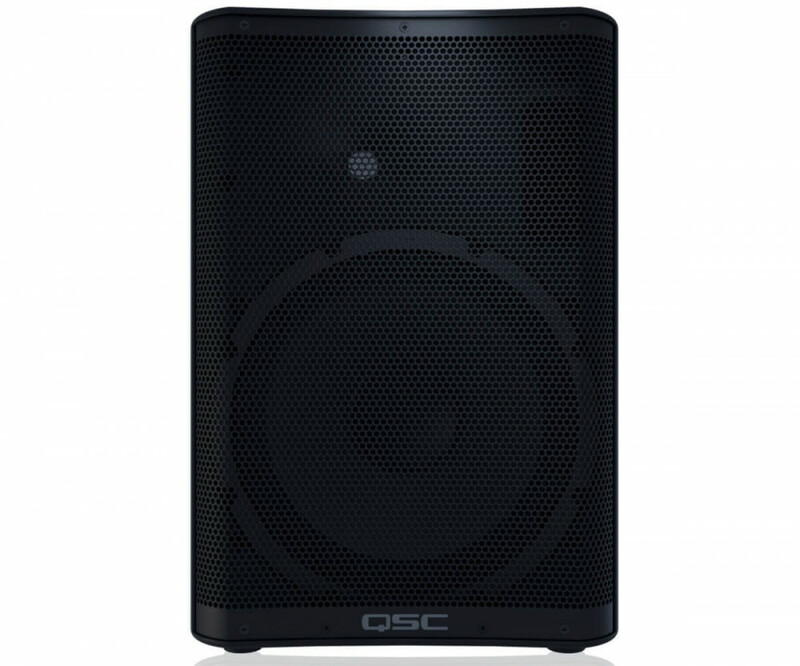 The QSC CP12 is a compact powered PA 12" speaker with 1000 watts of power and weights in at under 14kg. 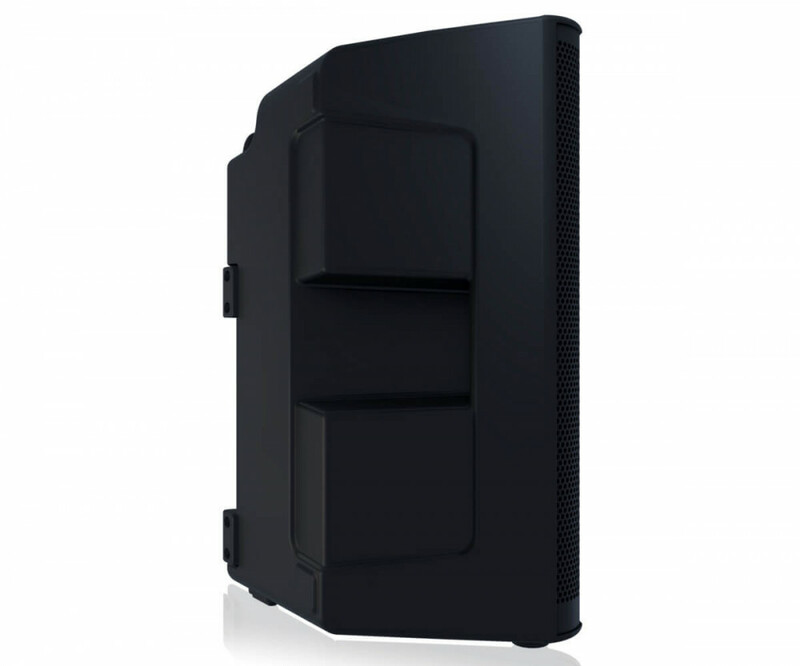 It is ideal for situations which require powerful, quality sound and are limited on space or transport. 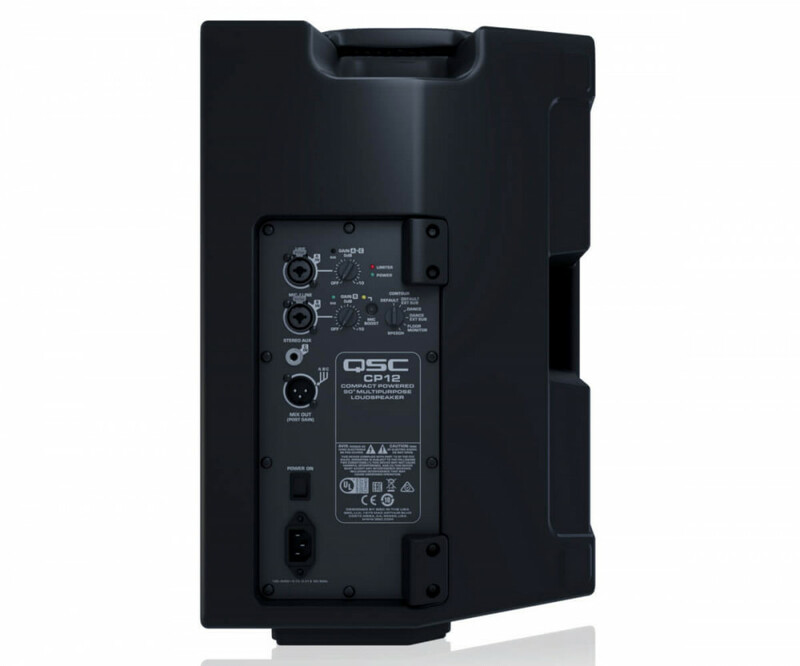 The QSC CP12 is a compact, active PA speaker created using the heritage that QSC have for building great sounding, powered speakers in a small casing. C= Compact: The new CP8 and CP12 are a real feat in engineering, the cabinets are built to the smallest size possible for this type of speaker, the CP12 is under 14 inches wide and 20 inches high. They are also light weight with the CP12 weighing in at only 13.7kg. This makes the CP range ideal for solo musicians or DJ's where space is a premium and sound quality can not be compromised. They are easy to transport, fiting in a car as easily as a van and light enough to carry up some stairs in those awkward venues. P = Powered: QSC have squeezed in two high quality, D-Class amplifiers kicking out 1000w of power (800 + 200) and at a maximum SPL of 126 dB. QSC have built a very clever DSP system in to the CP12 with 6 different presets to tune the speakers to different venues and types of music. Ch. C: 3.5 mm jack line level input controlled by Ch A. ideal for connecting a media player or even a phone for background music or backing tracks. Whilst this is a stereo input, the singal is converted to mono. This gives the user a compact mixer built in to the speaker, ideal for a solo artist to sing backing vocals to, a small setup for speeches or just paired with another CP12 for a compact stereo system. The CP series also features a mix out to link whatever combination of audio out to another speaker. Seen the QSC CP12 Active PA Speaker Cheaper?